I am making a dio featuring a couple of German Aircraft and was wanting to add a few little men to things look more busy. I have never painted figures before and wanted to see what an easy way of painting flesh tones on 1/48 scale soldiers and crew. Any tips on who makes the best acrylic paint for figures and detailing tips are very welcome. 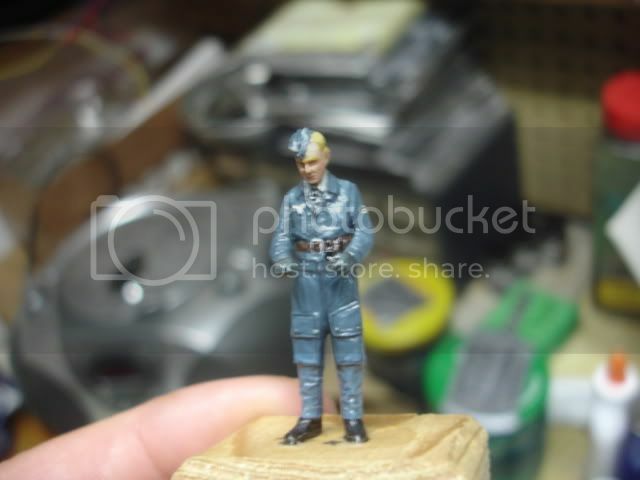 I was also thinking that with the small scale it might look srange painting the pips and eagle on the German uniforms in silver and it might look more convincing in a light grey. With the rest of the uniform i guess its XF56 with a dry brush highlight and a few washes to tone things down. Am i on the right track? Thanks for any help. Sounds like you are on the right track. I would definitely also stay away from silver for the insignia etc. In real life it is often more greyish both for metal and cloth piping unless being parade uniforms. I almost always use Vallejo colours with a few citadel paints mixed in, but that is much a matter of preference. However, vallejo works for me. 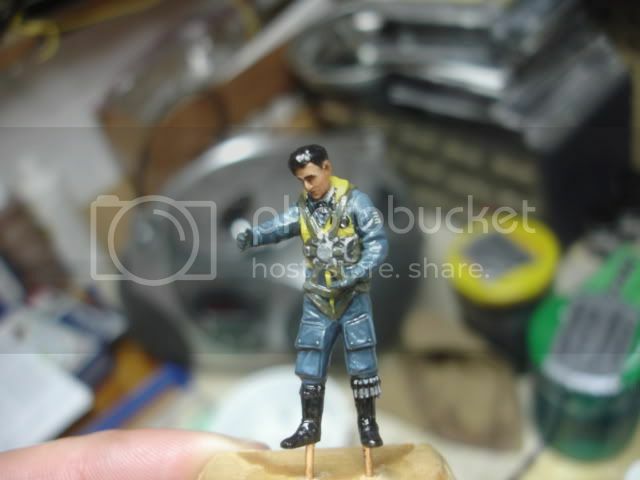 remember also to check out the sister site Historicus forum which has a lot of tutorials and inspiration for figure painting. Excuse the gloss coat, they got a flat coat later. Thank you gentlemen , that was useful info for me. Those figures look great - that is pretty much what im looking to achieve.